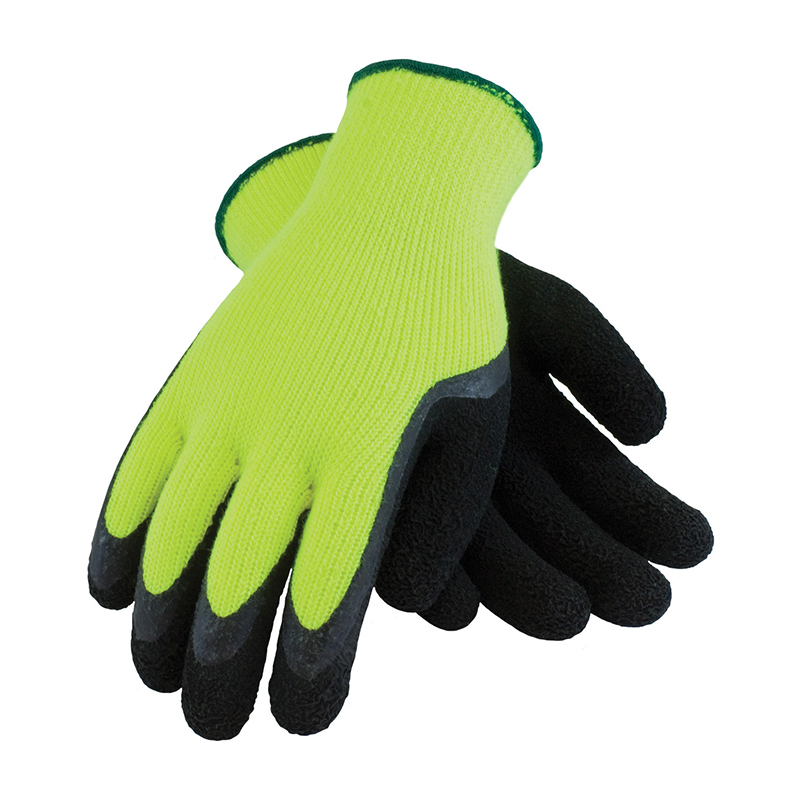 Hi-Viz seamless knit acrylic terry glove with latex "crinkle" micro-finish grip on palms and fingers. Used in refrigerated areas, construction, outdoor winter activities and recreation. Features: seamless construction for a comfortable fit, acrylic glove provides economical cold weather protection, latex crinkle coating provides superior grip in wet/dry conditions and offers abrasion resistance, knit wrist helps prevent dirt and debris from entering glove, excellent thermal insulation, and launderable. 6dz/cs.